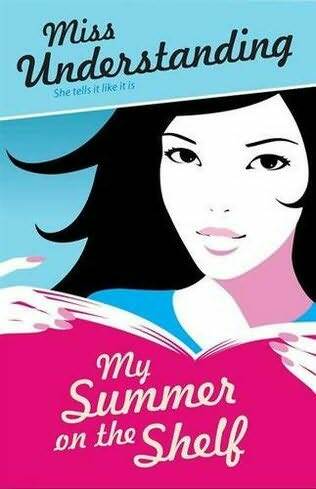 This is the second book by Miss Understanding, a witty and hilariously honest ex-agony aunt. Giving up the role of Agony Aunt due to getting into trouble with it, Miss Understanding, aka Anya, decides to get some work experience over the summer holidays from school. As a surprise, Anya’s Mum, the crazy hippy Jocosta, gets Anya an internship in a publishing firm run by her close friend. Packing up and moving down to London to stay in her father’s flat, which she mostly has to herself, Anya is seemingly about to live the high life – maybe she can get her book published, whilst getting to see the ins and outs of being an editor! However, it doesn’t work out that way, instead, Anya is stuck listening to a sub-editor Katie moan about her ‘awful’ life and obsession with the boss’s son, the handsome Seth. Not only does she have to hear Katie’s awful whining, Anya has to read over some pretty dull manuscripts and try and wean another book out of a nightmarish author, Casper. Casper wrote a truly excellent first novel ‘Ask Me No Questions’, a science-fiction best seller, and has a two-book deal with Boxwood Publishers, yet his second book is about four years late. It is up to Miss Understanding to get the next bestseller out of Casper. To top it all, Anya has a string of boys chasing her, her AWOL ‘boyfriend’ Al, away in the Amazon, the older Seth, her ex The Boy and the slightly creepy Lucas. And Anya only has her online blog readers to listen to her antics. It is, really, a book about writing a book, the anticipated book of Casper, but also shows the inside life of the editor, and author, as not all glitz and glamour, but sometimes dull and hard work, but it combines wit and humour in the telling. It brings to live teenage angst in life, boredom, love and misunderstandings. The story is all told through Miss Understanding’s blogs and various emails sent from friends, colleagues and Casper, all that occur during the school summer holiday. At times, Anya’s ramblings seem a little annoying, in that she seems to be complaining for no reason, but I guess we all did from time to time as teenagers. Yet, it's all done with humour and she is hilarious and sarcastic to boot. Aimed at teenage girls, I think this book is perfect, it all has a little something in there for all of us to latch onto and enjoy or relate to. It is pretty accessible, and I don’t believe you have to read its predecessor Miss Understanding: My Year in Agony to follow it, yet you may well want to read that and the apparent third book to come out sometime soon!